themselves a result of this time-tested Formula For Success. 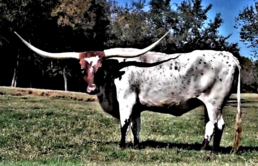 So, if you are looking for a Special Individual to enhance or start your herd, or are a connoisseur of Fine Art ~Western Living Art, that is...or perhaps, like us, you enjoy the simple pleasure of looking at and petting these Majestic and Historic Cattle... WELCOME! Impeccably bred, Premier La Belle Aurore has a heritage of greatness. Her name means "The Beautiful Dawn". She represents the spear point & the new beginning of the future of our elite breeding progam. to exemplify in our breeding program, the Total Package! Twisty horn, excellent size, conformation & disposition with the added appeal of a flashy multi-color coat pattern & a 102+" TTT grandsire. Her dam is a former ITLA World Champion Produce Of Dam class winner & her granddam a multiple conformation world champion,. 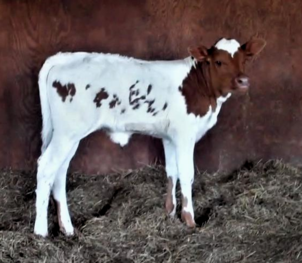 Plus, this heifer is a 1/2 sister to 90-ish" TTT Premier Astoria. What a beautiful addition! 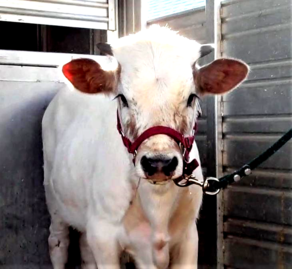 Thank you to Burton-Stockton Ranches for the opportunity to breed this very special heifer! Her 2 grand mothers are 93" TTT & 89+" TTT and her 2 grandsires are among the greatest sires of modern times! 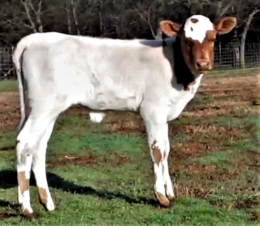 She truly is Longhorn royalty, a beautifully conformed, sweet inquisitive calf who is being brought along as a Futurity prospect. Watch for her she is something special! 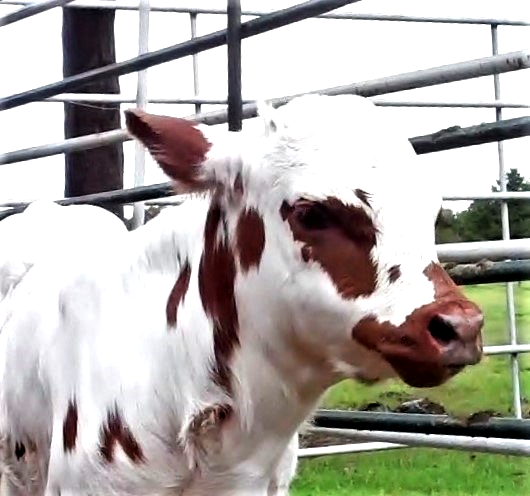 Thank you to Burton-Stockton Ranches for the opportunity to breed this very special, line bred heifer! Her pedigree is packed with great individuals of the breed, including Texana Van Horne longest horned black cow ever & a clone to her dam Delta Van Horne, Jestex Van Horne 9 CF 12. 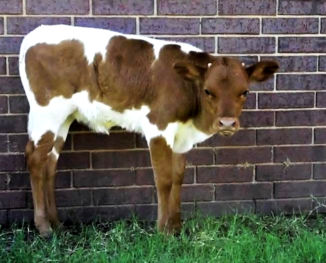 Add in World Champions Rio Grande & Somethingroyal & the great Tempter, this fancy heifer indeed has a royal heritage. Watch for her she is something special! 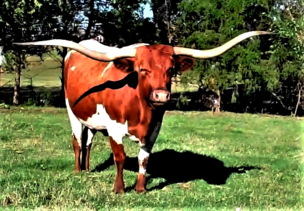 A super fancy future Trophy Steer!! Speckles Brown has a tremendous pedigree. 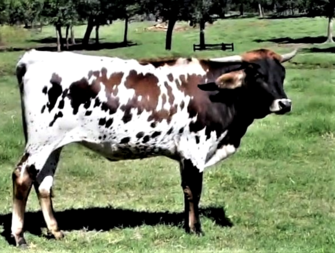 Plus he comes from a solid Saddle Cattle family and he is a 1/2 brother to Trophy Steer Premier Big Business who is nearing 100" TTT. 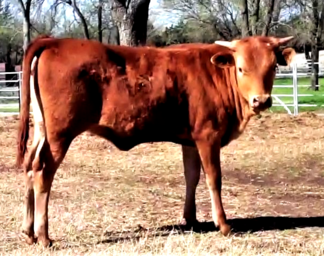 Speckles Brown is halter trained, leads, ties & picks up his feet. A sweet boy who will have a ton of horn! 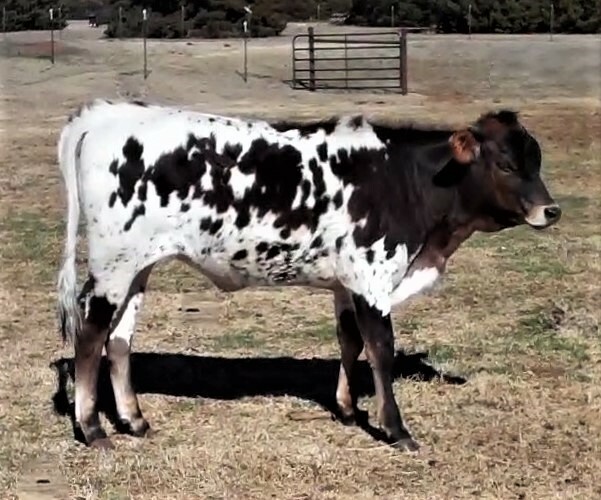 This steer baby has a truly tremendous pedigree stacked with legendary individuals of the breed! 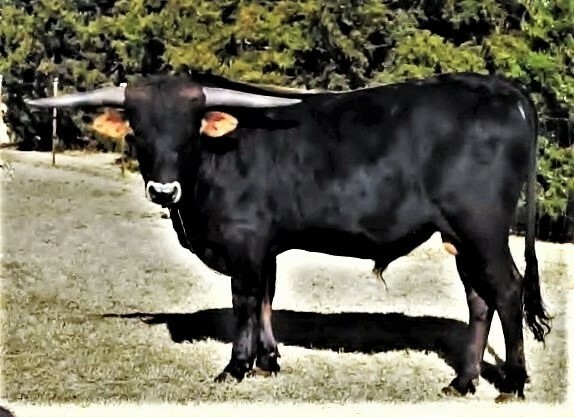 He is linebred Tejas Star and is the image of Tempter himself as a calf. Smart, kind and very sweet, Darby Dan is being brought along to be a Saddle Steer. Premier Astoria 89+" TTT with her 2X grandsire Tejas Star, a leading sire of over 90" TTT progeny. Flashy faced, she is the image of her illustrious grandfather, Tejas Star. She promises to grow up to be covered with spots and have VERY long horns!